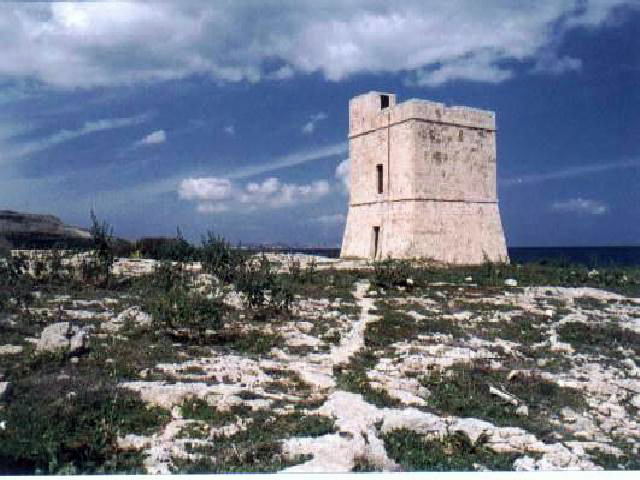 This is one of Grand Master de Redin’s watch towers and is situated a few hundred metres from the Ghallis Tower. This Tower, also known as St Mark’s Tower, is probably the third of the thirteen towers built by Grand Master de Redin. The stone work cost 408 scudi and was paid for by the Grand Master. Its construction and history is similar to that for Ghallis Tower and it was built between March 1658 and July of the following year together with the other twelve towers. An inspection report dated 1743 shows that the Tower was not operational. In 1792 the Congregation of War ordered that the Tower be armed with a 3-pounder iron gun. During the British period a small room was built in front of the Tower to serve as a guard room but only its foundations remain. On the first floor there is an inlet to an underground well. 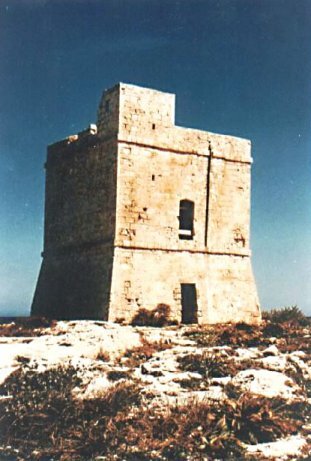 The restoration of this Tower in 1997 was sponsored by Round Table (Malta) One.